Element14, the market leading manufacturer and distributor of the Raspberry Pi, has announced the launch of the new Raspberry Pi 3 Model B. The new generation board is faster and more powerful than ever before and comes with built-in wireless LAN and Bluetooth connectivity. This new board adds to element14’s broad product portfolio which includes a world class ecosystem of accessories such as the recently launched Raspberry Pi Touchscreen Display. 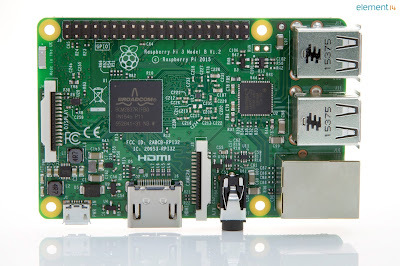 The new Raspberry Pi 3 is available to buy today from element14, for a price of USD35 and is built on a new QUAD Core Broadcom BCM2837 64bit ARMv8 processor (running an ARMv7 operating system) running at 1.20GHz, a significant increase from 900MHz on the Raspberry Pi 2. It has improved power management and an upgraded switched power source - up to 2.5 Amps - to support more powerful external USB devices. 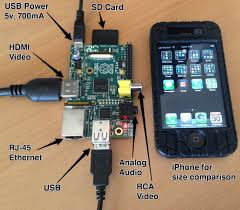 With support for Bluetooth Low Energy and wireless LAN, the Raspberry Pi 3 can support new and exciting application areas ‘out of the box’, such as IoT connectivity, streaming to Bluetooth headphones or speakers, Wi-Fi gateways and home cloud storage. “Today, as we celebrate the 4th birthday of Raspberry Pi, we reach another major milestone on the Pi journey with the launch of an even faster, technically advanced board for an amazing price of USD35. The new Raspberry Pi 3 Model B offers a higher level of performance than any other Raspberry Pi board on the market. Speaking at the London event this morning, Eben Upton, CEO of Raspberry Pi Trading, said, “Four years ago today, we launched the first Raspberry Pi with our friends at Premier Farnell. Today we’re launching Raspberry Pi 3: it’s still $35 and it’s still the size of your credit card, but now it comes with on-board wireless LAN and Bluetooth, 50% more processing power, and a QUAD Core 64bit processor. The new Raspberry Pi opens up even more possibilities for IoT and embedded projects; we hope you like it as much as we do."